Corinthian must like coming to the Charles Ground. On their last visit in March they won handsomely 6-1 and on Saturday the Longfield club inflicted Deal’s first defeat in six games – but there the comparison between the two matches ends. Whereas the Hoops could have no complaint about the six-goal thrashing Saturday was a different story, with manager Derek Hares claiming afterwards: “We had a goal wrongly ruled out for offside, another not given when the ball was at least six inches over the line, and dominated the second half despite having lost two key players through injuries by half-time. 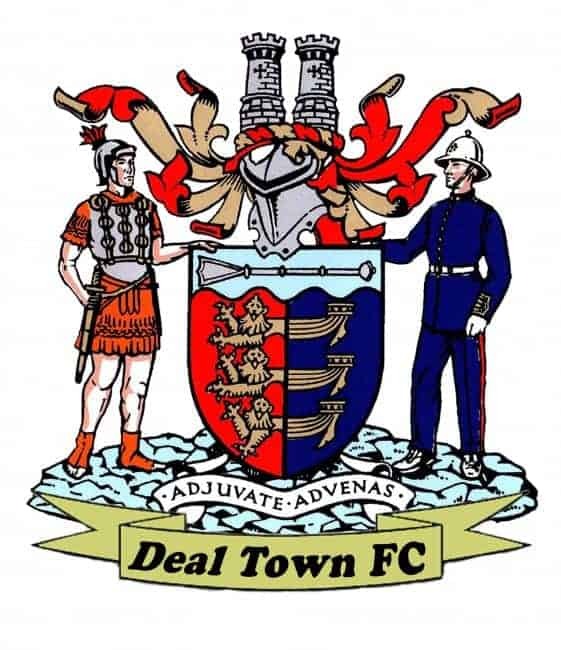 And although the Hoops did take the lead 12 minutes later through Dean Hill following a Corinthian defensive blunder, Deal suffered another blow soon afterwards when Charlie Walsh had to go off with a groin injury. The loss of ‘Walshy’s’ aggression in midfield proved costly, especially in the remaining period of the first half when Corinthian did string together some neat passing movements which were rewarded with two goals. Their equaliser came from a 28th-minute inswinging corner which was deflected goalwards by Joe Anderson and when Hoops keeper Chris Waymark tried to smother the ball another Deal player inadvertently trod on his left hand, leaving Corinthian striker Luke Tanner with an easy chance and Waymark requiring lengthy treatment. Then, two minutes before the break, the unmarked Marcus Evans headed home Oscar Housego’s far-post cross and all of a sudden the Hoops were up against it, especially when Waymark was unable to reappear for the second half because of his hand injury. With no keeper on the bench, Hill had to take over in goal and Corinthian must have fancied their chances of chalking up another big win at the Charles Ground. But instead Deal dug in and took the game to the visitors, only to fall down with their final pass or shot. However, after forcing three corners in a row midway through the half, the Hoops’ players were convinced that the ball had crossed the line during a hectic goalmouth scramble, but Maidstone referee Mark Pollington waved ‘play on’. At the other end Hill remained relatively untroubled until Deal’s frustrating afternoon, which also included four yellow cards, was made complete two minutes from time when Corinthian substitute Brima Daramy deflected in their third goal from a Housego free-kick.